"The Cyrus Wakefield Mansion was located on Main Street where the Wakefield Jr. High and Atwell Schools now stand. Cyrus Wakefield was instrumental in bringing the rattan industry to the town (then called South Reading) and generously donated the funds to build the former Town Hall located on the corner of Main and Water Streets. The town was renamed 'Wakefield' in 1868 in his honor." -- Text from calendar. 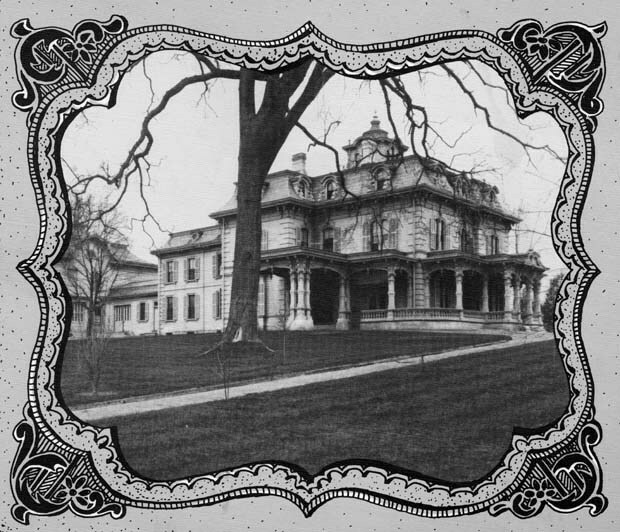 “[Cyrus Wakefield mansion],” NOBLE Digital Heritage, accessed April 22, 2019, https://digitalheritage.noblenet.org/noble/items/show/6852.